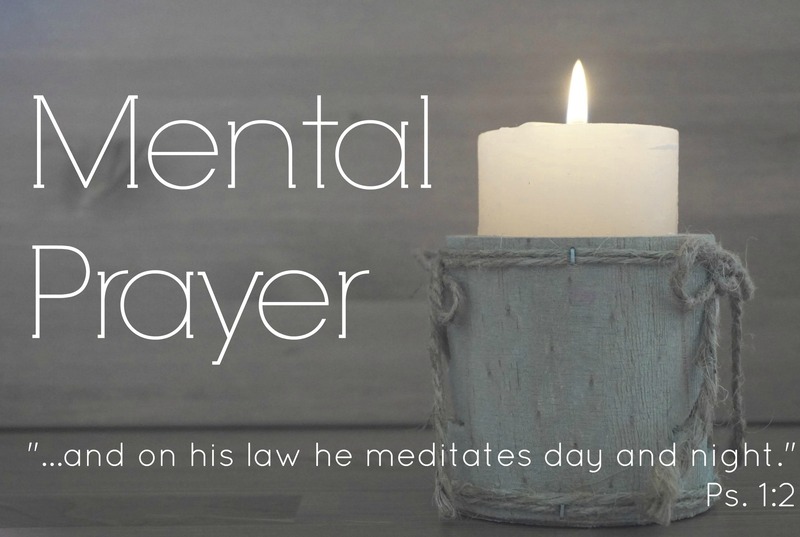 One of our frequent errors in mental prayer (at least it is for me) is to ambitiously attempt to mediate on long passages, intaking great amounts of spiritual insight to take into mental prayer. As a result, we spend so much time reading and thinking about a lot of concepts on a surface level, instead of going deeper with the Lord by meditating on one simple truth. We jump around to a lot of ideas about God, but we don’t get the time to sit with God and let the Holy Spirit start to move these spiritual truths more deeply into our souls and change our hearts. I think one reason we do this is because we often gloss over the simply profound. 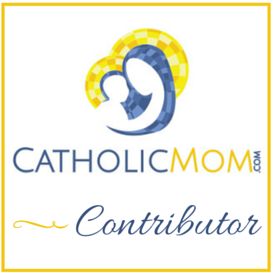 I talked in my last post about recognizing the simply profound. Here I want to offer an example of recognizing a profound, but simple, symbol and explain how we can cultivate it in our meditation so that the symbol remains simple, but the meaning for our hearts becomes profound. To do this we have to think of symbols (words) as more than “referential” in our communication and our prayer life. What do I mean? Well, words have “referential” meanings, but they can also have “condensed” symbolic meaning. For example, the word “chair” refers to this thing that has a seat, four legs, a back, and we know that we sit in it. So if I think of a basic chair in terms of its purpose and what it means, I think of something in which I sit. However, if I think of the antique rocking chair in my living room, I think of much more than “a seat.” I think of the lady I bought it from who inherited it from her grandmother. I think about it being more than 100 years old and being transported by her grandmother by covered wagon from Tennessee to Kentucky when she married and set up her new home. I think of all the events of human life that the chair’s features represent and the generations of mothers who have rocked their babies to sleep in it. This rocking chair is much more than a referential symbol. In communication theory we call a symbol like this a condensation symbol, because such a symbol (in one or two words) carries with it an immense amount of meaning and emotion far beyond the thing itself. How does this function in prayer? Well, let’s take the name of Jesus. As a referential symbol, it refers to a person who walked the earth 2000 years ago. But as a condensational symbol — a word that carries with it many emotional and theological responses — it is a profound symbol for meditation. So when I meditate on the name of Jesus, I don’t simply think about the name as a label for the historical figure. I think about and cultivate the layers of meaning and significance in that name. It is a symbol of my salvation; it is my peace, it is my hope. I don’t know about you, but for me there is endless mental prayer time that could be spent unpacking what Jesus’ name means for me and how its symbolism brings me deeper into a relationship with the person of Christ. And that, of course, is the whole goal of the interior life of mental prayer — to grow closer to God. We can do this with other words. The fruit of the spirit — love, joy, peace, patience, kindness, goodness, faithfulness, gentleness, and self-control — are excellent symbols for meditation. But when we meditate on these fruits we are not meditating on their dictionary definition; we are going deeper than that. We could meditate on how joy is birthed and cultivated by the Holy Spirit in our lives. We could look to the Gospels for examples of people who lived with joy. In short, if we approach meditation sources simply as referential symbols, then I think our mental prayer time will be a little dry. We need to go deeper and cultivate meaning for our souls by unpacking the richness of all the truth that is condensed into these words. And as we meditate on simple symbols they become more profound, because added layers of meaning become apparent. We could spend a week meditating on one fruit of the spirit, for example; and by the seventh day that symbol will probably be very thick, evoking rich responses in us. As the Holy Spirit reveals more rich meaning during meditation these symbols become powerful in our prayer time. They can help usher us more quickly into deeper communication with our Lord, because–just like a conversation with any dear friend–we pick up right where we left off and continue on.